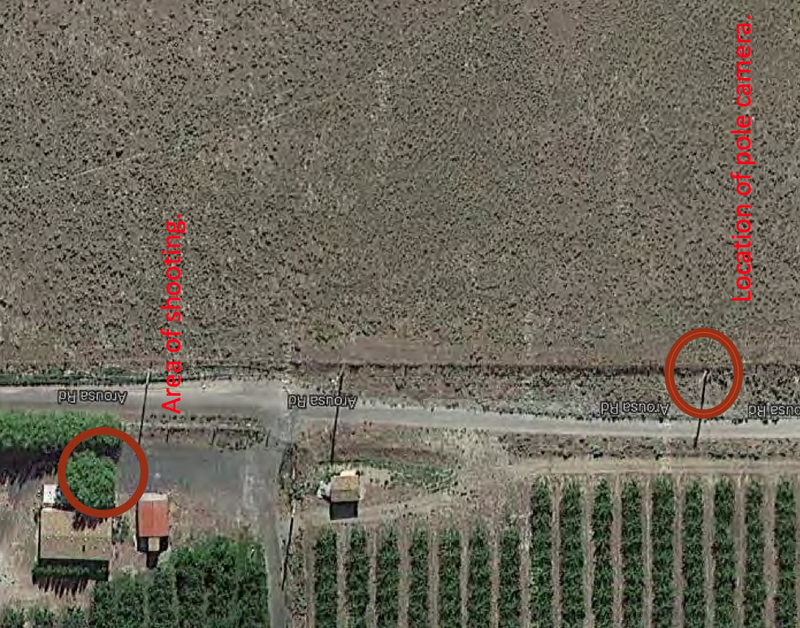 Map shows locations of Vargas front yard, where alleged target shooting occurred, and the nearby utility pole-mounted surveillance camera used by investigators. In a recent test of police surveillance limits, the U.S. Attorney's Office argues a Pasco, Wash., man facing firearm and drug charges was legally video-surveilled when investigators posted a camera outside his home for more than a month, recording him for weeks without a warrant.
) last week in U.S. District Court, arguing defendant Leonel Vargas had no expectation of privacy when he was allegedly target shooting outside his rural home in May. Privacy advocates have argued police should have sought a warrant before installing a camera on a nearby utility pole to record the Vargas home around the clock for weeks on end. Ekstrom argues the front yard, visible to passersby and neighbors, does not include an expectation of privacy, regardless of how long the home is under surveillance. "The front yard is the face that a house presents to the world," his brief states, continuing, "If we wish to opt out from this convention, we build an opaque fence … This is the accepted method we use to signal an expectation of privacy, and this the Defendant failed to do." View of utility pole with Vargas home in background. Investigators recorded Vargas' activities for four weeks before capturing incriminating footage of him allegedly target shooting outside his rural home. Using the footage, detectives obtained a search warrant for the house, seizing four firearms and three "small baggies" of methamphetamine. Vargas, a suspected undocumented immigrant, was indicted on charges of an illegal immigrant in possession of a firearm and possession of methamphetamine with intent to distribute. Privacy advocates, including the ACLU of Washington and the Electronic Frontier Foundation, argue prolonged and continuous surveillance is more invasive than passing neighbors. They argue such long-term surveillance should require a warrant, like wiretaps and GPS-tracking devices do. "Any other rule," a Dec. 2. EFF brief states, "would allow the police free reign to silently watch and record those they dislike, waiting for someone to inevitably commit one of the myriad federal crimes." "While not necessary, in light of prior decisions regarding the propriety of visual observation, this Court could well find that, as a practical matter, given the ubiquity of cameras in modern society (including but not limited to video surveillance, both public and private, and portable cameras in phones, both smart and otherwise, Google Maps, and recently released technologies such as Google Glass) the reasonable expectation is that we are likely to be observed at any time, by any number of individuals or entities, and our actions may well be recorded when we are outside our residence. Whether this expectation is desirable is a separate (and arguably legislative) question from whether this expectation exists." 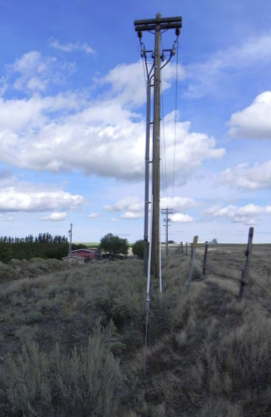 Ekstrom argues a chain-link fence around part of Vargas' yard did not establish an expectation of privacy outside his home the same way an opaque fence does. The attorney also alleges Vargas was target shooting across a public roadway. Read the entire criminal complaint and charges. For more on the case from the EFF, click here.